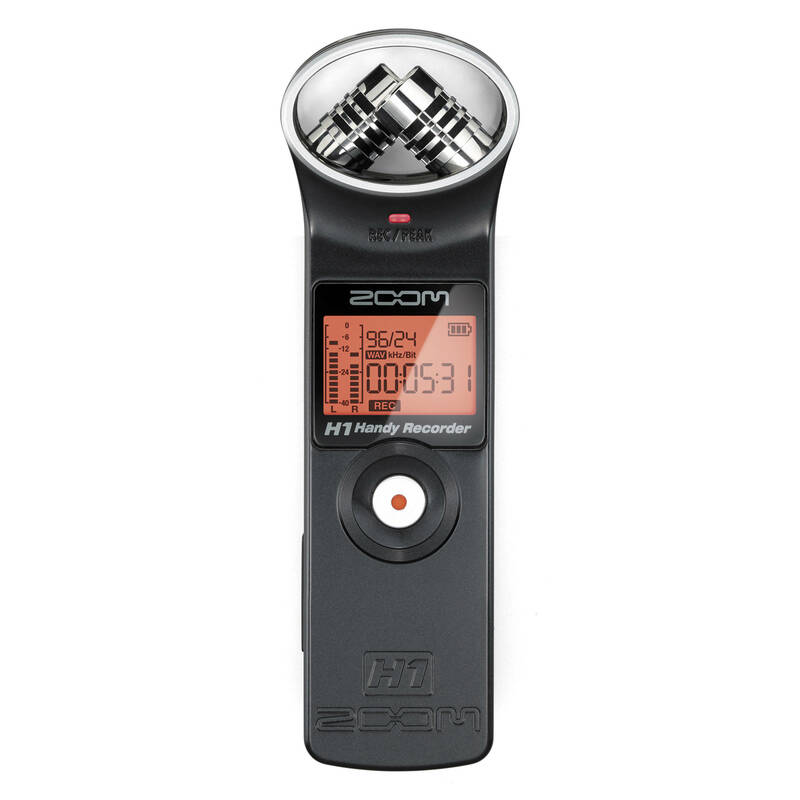 H1, Pocket Recorder/Multitrack from Zoom belonging to the H1 model. vsavagellc's review"Great Bang For the Buck!" I want to start off by letting you know that I did not purchase this mic with the intent to use it as a field recorder. 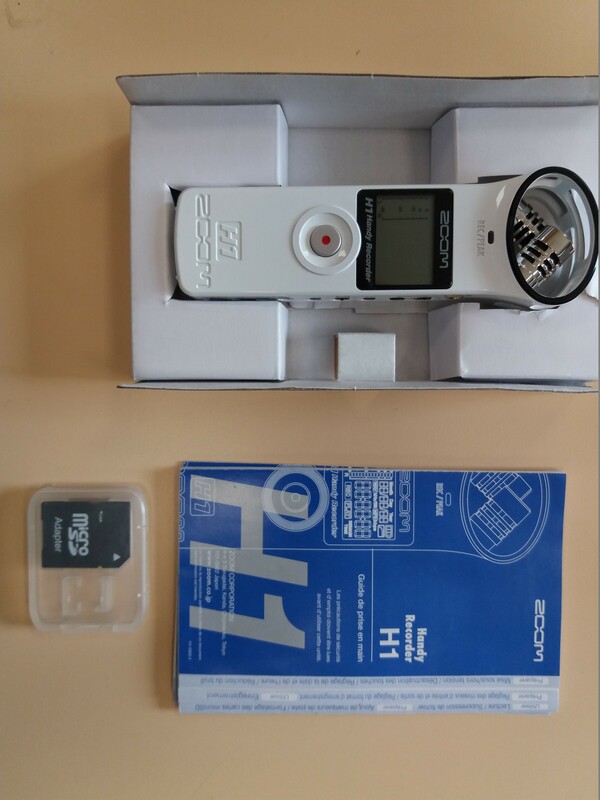 I purchased it to capture better audio (vocal recording) for my film projects (that was the main goal). After messing around with a bit I began to notice just how versatile the recorder actually was. I began carrying it with me everywhere : Store, park, bathroom (yea I know TMI) and even the recording studio. It's actually a really nice field recorder especially for the price! 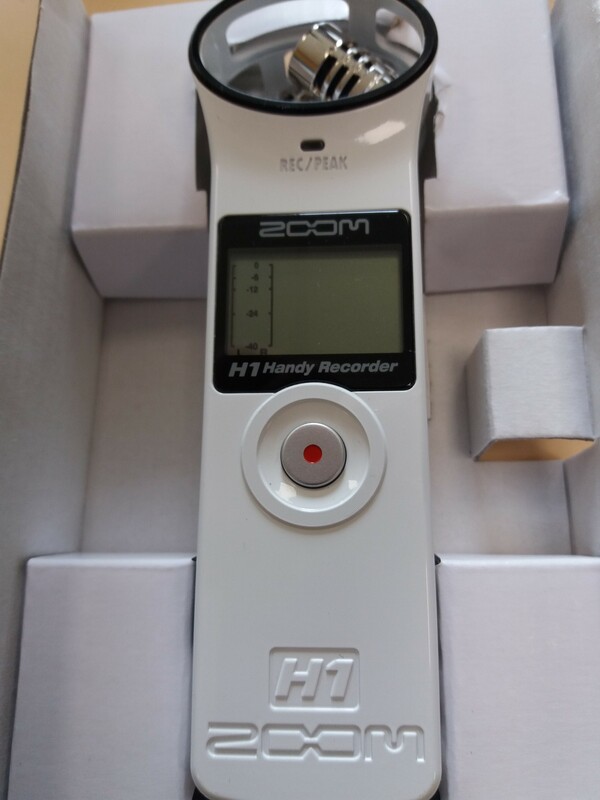 I've only used 1-2 other field recorders besides this H1 Zoom and one of those just happen to be the H4 Zoom recorder. In my opinion they don't sound very different. If you were to record 2 quality sound bites in the same environment and play them back to someone they'd have a hard time telling them apart. What I don't like about this recorder is it's build... It's mostly plastic! But again, it's only $80.. I just wish it had a slightly better build but other than that I have no complaints. I was able to get 10 hours of recording from a single AA battery! You can hook up other mics to this recording, but you'll need a 1/8 connection to do so. I would recommend this field recorder to anyone who is looking to improve there audio for film recording (again vocals) as well as those who are looking or thinking about messing dipping into field recording on a budget. 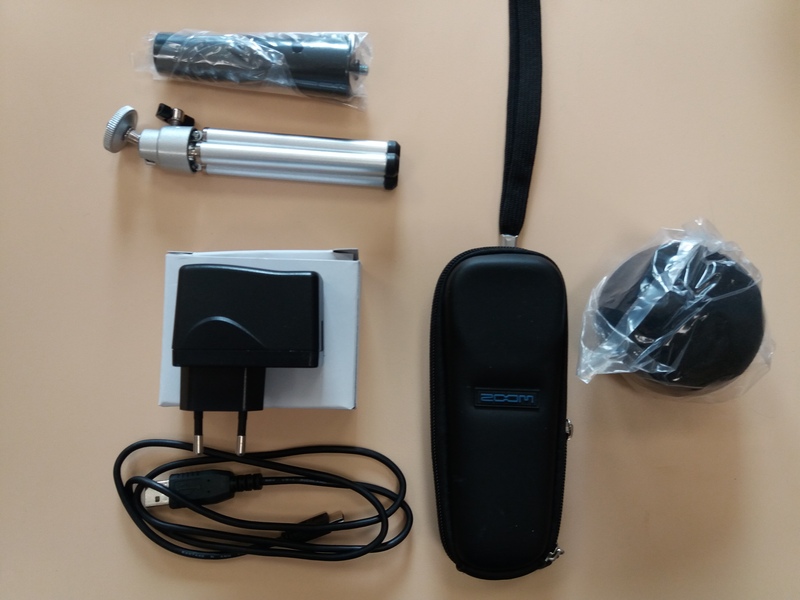 a.k.a's review (This content has been automatically translated from French)" Truly portable and quite loyal"
I bought this recorder early 2014 in order to make mobile recording in different environments, record sounds to incorporate into my music and capture rehearsals and concerts. 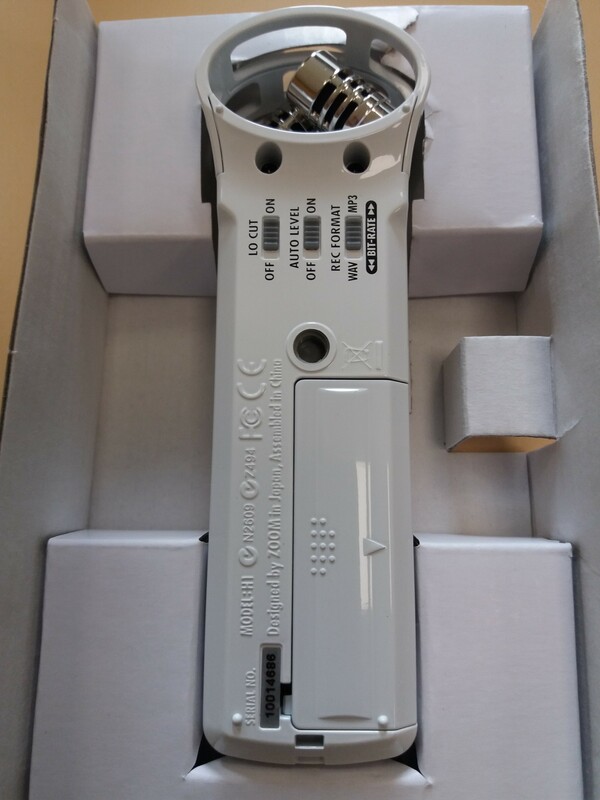 I had the Zoom PS-02 before. It was less ergonomic and had too many dispensable functions for me (backing tracks, composition tools sequencer). But I do not have the means to take a H4, probably better than the H1. I added a small kit of accessories: usb power adapter antipop foot, cable, carrying case. This time the interface is well thought: the buttons are in their places and there was even a small sound switches to switch the recording format to another, activate a low-cut or turn the "auto level" function . There is even a tiny monitor to check if the record has no headphone on hand. This recorder does not take place and its use is elementary. tontonseb's review (This content has been automatically translated from French)" Super musical notepad." Before I used an old (15 years!) MD recorder. It is much more compact and practical with integrated microphones. Recording directly to mp3, I win a lot of time to send the result to friends. The plastic is a bit cheap but the device is ergonomic. With (98 € in Toto) accessory kit, there is an adapter for foot-friendly pickups. Y microphones are great for restoring a folk guitar, placed face to 50cm. I find recording more beautiful than my ear had seen! I'll have to try on the voice. For rehearsals, well played punk rock block, it's just a function of notepad. Microphones saturate quickly: they record but adapt, causing volume declines. Very serious sound (bass drum) or very high (cymbals) pass before everything else. By against all is audible and allows you to listen to correct its quirks. I do not think it can be used for models, or only acoustic instruments. on the other hand, avoiding installing too close to the battery and avoiding playing too hard, you can achieve an audible recording, sound recording rehearsal for working with electric instruments. That was my goal. I think the use for ambient taken live. A test. thadrones's review (This content has been automatically translated from French)" Perfect for its product range"
I use the H1 regularly for 2 years, and it plays its role perfectly, whether for ambient taken with integrated microphones (bring a tripod or a pole if you hear the fingers rub against the hull holding has hand), or especially for small models by recording the output of a machine / mixer / anything that can make the mini jack. I tried the H4n (but certainly more pro does it still need all that), which agree more to someone who would make the sound normalized for video or a group of acoustic musicians but the H1 is perfect to take in electronic jam or concerts / parties / informal interviews and other .. and for the price it makes a war machine that fear less damaging a pro recorder that costs 4 6 times more expensive.